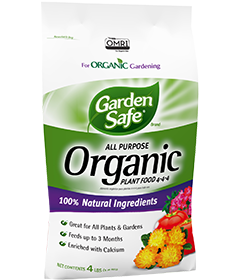 Garden Safe Brand All Purpose Organic Plant Food is completely natural and is great for plants and gardens. It feeds for up to 3 months. It is an easy-to-use granular that does not require mixing.